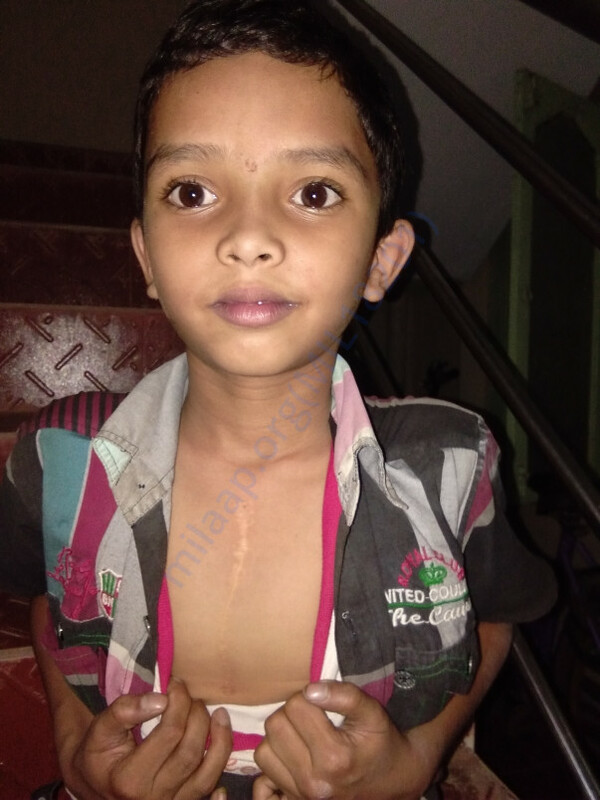 Vardhan a 9 years old kid from vepada of vizianagaram district who had to be operated twice for heart problem. He was operated for DORV ,V3D,PS a small surgery when he was infant of 11 months. 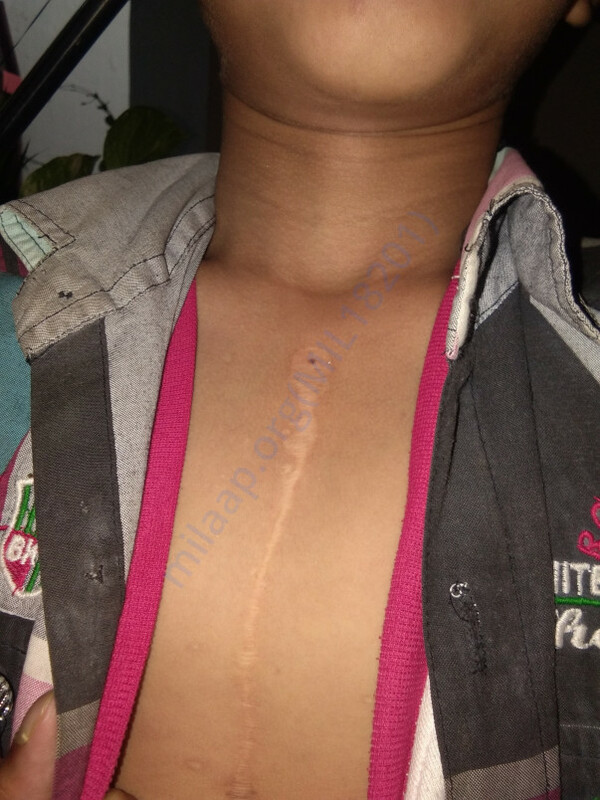 And BISMUT and GLAM procedure operation was done for 2 time when he was 6 years old.Now he has to be done FONTAN operation for last time which has to be done with in 2 months. Imagine being told you cant go out and play with your friends at that age. But despite being from very humble family background with his father being Autodriver in a village of India. 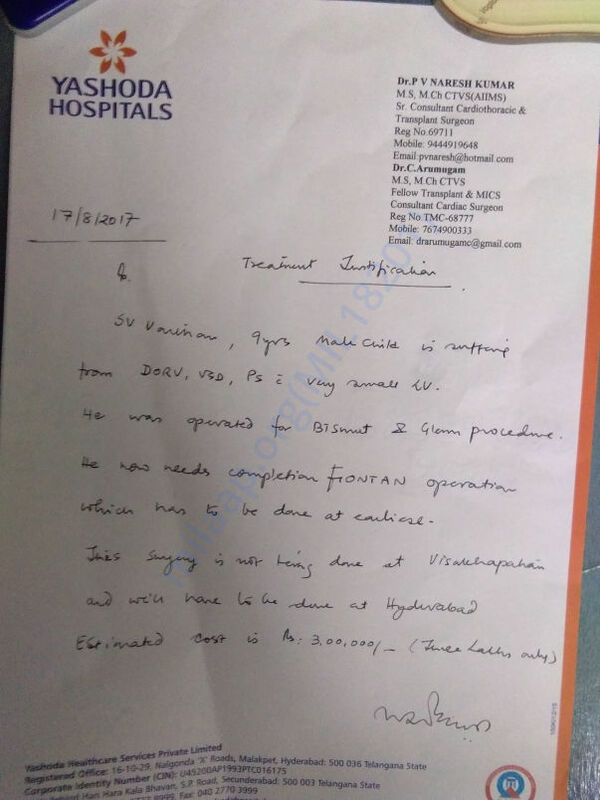 As the equipment for FONTAN surgery is not available in Vishakapatnam it has to be done in Hyderabad.so for surgery itself it needs about 300000 so for medical expenses and accommodation and post operative care in Hyderabad it needs about maximum of 200000 so that it can support their family financially . 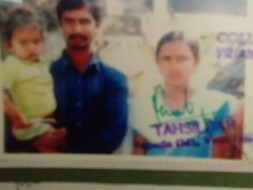 For the first and second surgerys they were supported by Government Health schemes AArogya sri.As the final surgery being cost effective the vissitudes of fate have even denounced and have delivered him ineligible for government health scheme. Thank you for the wonderful support and prayers. Vardhan is fine and doing well by the grace of God and your prayers. 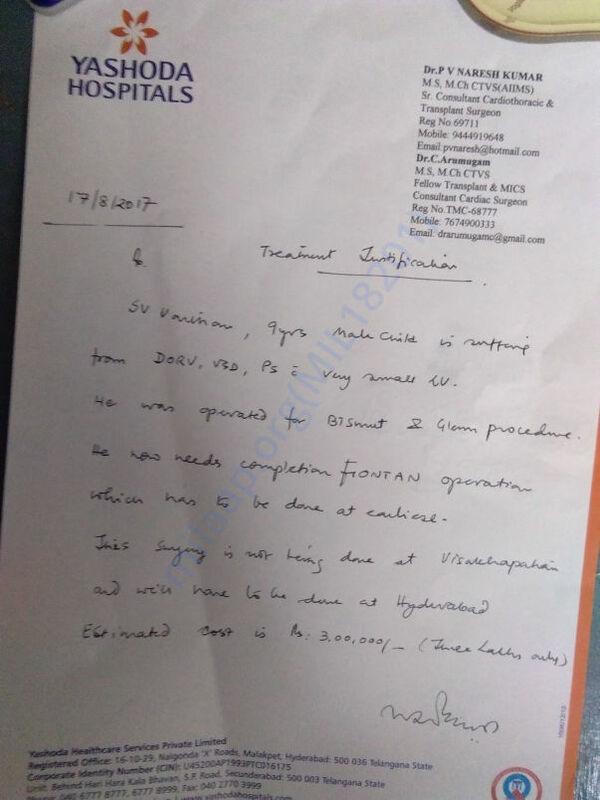 Vardhan was admitted in Yasodha hospital, Secundrabad on Oct 4 and and on Oct 5 he was operated successfully by 3 doctors For 6 hours and he is fine now. Thank you all of you for your helping hand and for saving his life. Vardhan's parents have arranged about 1.5 Lakhs through CM relief fund. 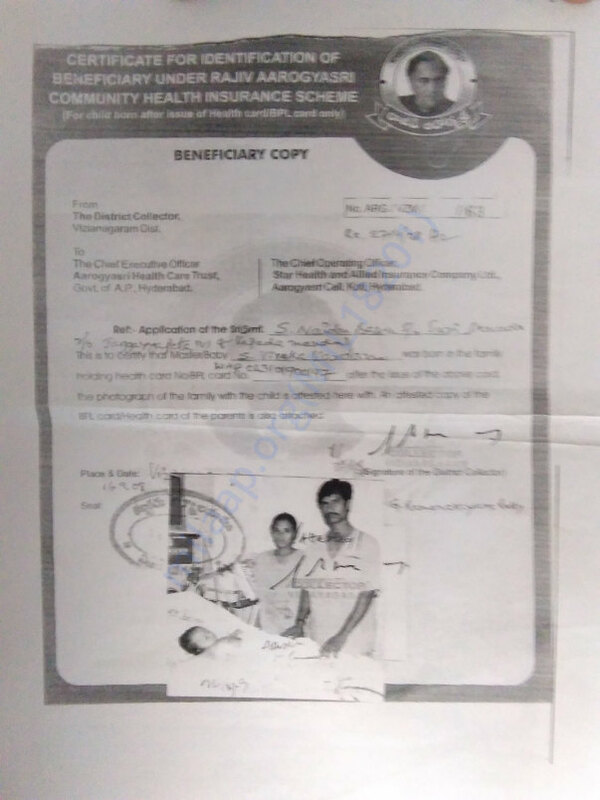 They still need to raise the rest of the funds for operation so I am withdrawing the funds to his mother's account which can be used. Once the entire amount is arranged, the doctors will do the operation. Please continue to share and support the campaign with your friends and family and pray for his recovery.